An Army Signals Collection Analyst watches and listens to foreign electronic communications and interpret and identifies them for strategic purposes. These are usually non-voice communications, and the information collected is used for tactical and strategic purposes. This highly sensitive intelligence job is categorized as military occupational specialty (MOS) 35S. If you're someone who likes using clues to solve problems and answer questions, and is interested in working with radio equipment, this may be the Army job for you. These soldiers operate signals intelligence (SIGINT) equipment, searching the radio spectrum to collect and identify target communications. This involves performing analysis to determine signal parameters. They'll prepare logs and reports based on the information gathered. 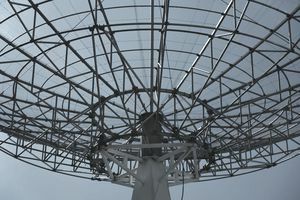 MOS 35S also uses SIGINT equipment to help determine operational sites, and maintains the technical database for intelligence collection operations. Job training for a signals collector/analyst requires 10 weeks of Basic Combat Training (better known as boot camp) and 15 weeks of Advanced Individual Training (AIT), held at the Corry Station Naval Technical Training Center in Pensacola, Florida. This training is divided between classroom instruction and in-the-field experience. Since you're handling highly sensitive information in this job, the eligibility requirements are fairly stringent. First, you'll need to be able to qualify for a top secret security clearance. This requires an extensive background check, which will investigate your finances and any criminal record. Drug or alcohol abuse after the age of 18 may be disqualifying, as is any record of selling or manufacturing narcotics or other dangerous substances. Your record must be free of any conviction by court-martial, and free of any civil court conviction for anything more serious than a minor traffic violation. You'll also need to score at least a 101 on the skilled technical (ST) segment of the Armed Services Vocational Aptitude Battery (ASVAB) tests, and get a qualifying score on the Army Analysis Aptitude Test. Soldiers in this job have to be U.S. citizens, and they and their spouses can't have any family members who live in a country where physical or mental coercion is a common practice against "persons acting in the interest of the United States." They also can't have any commercial or vested interest in such a country. If you've ever been a member of the Peace Corps, you're not eligible for this MOS. That's because the U.S. government wants to prevent any perception that Peace Corps volunteers could be acting as spies or intelligence agents. If a hostile foreign government believed this was possible, it could obviously put Peace Corps personnel and their humanitarian work in potential jeopardy. Although much of this Army job is obviously military-specific, you'll still be well qualified for a variety of civilian careers. You can work as a radio operator, a database administrator, a sound engineer or a computer operator. You also may be eligible to work as a technical writer, a business operations specialist or a manager of radio operator/mechanics. What Do Army Interpreters and Translators Do? What Does a 36B - Financial Management Technician Really Do?